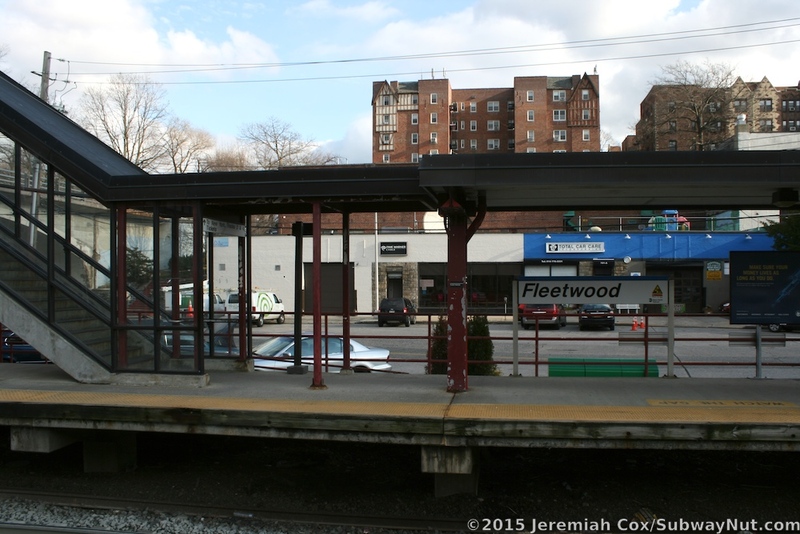 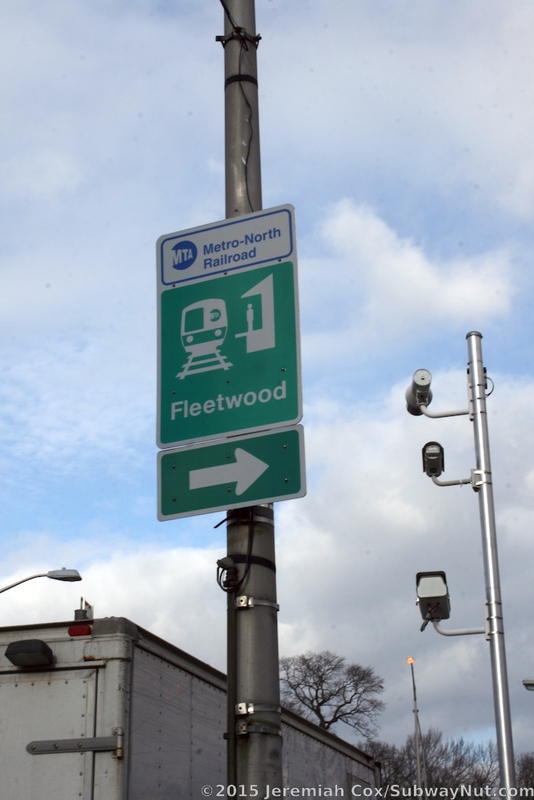 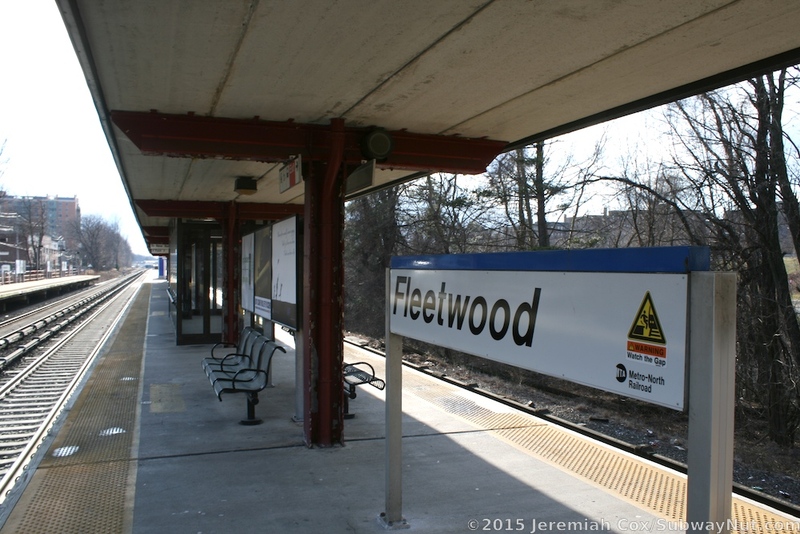 Fleetwood is a Harlem Line Station located within a neighborhood of northern Mount Vernon, at the Cross County Parkway and Bronx River Parkway interchange. 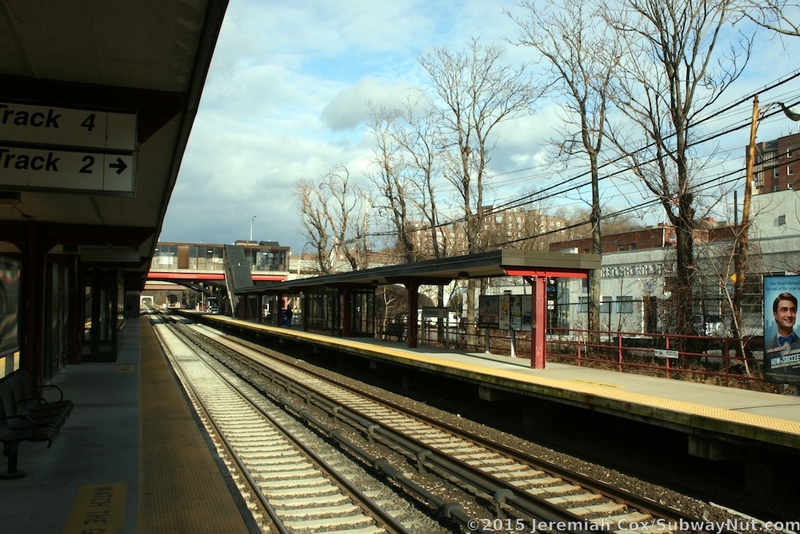 The Bronx River Parkway follows the railroad line through some trees just west of the station. 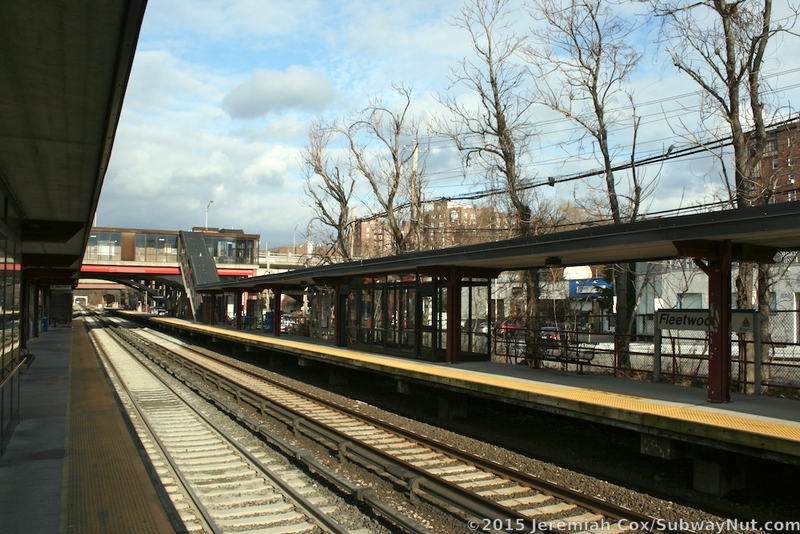 The station has two 12 car long platforms for the three-track line that were rebuilt between 1989 and 1991. 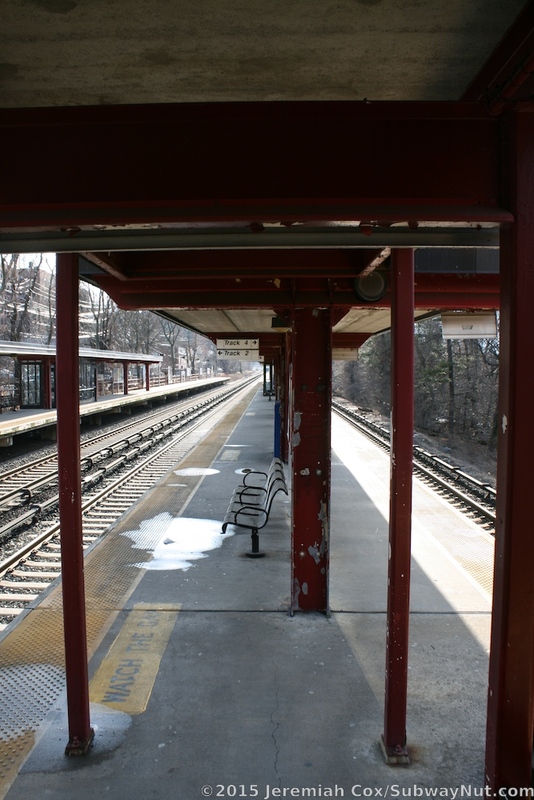 An island platform is between the western two tracks (4 and 2), normally used by Grand Central-bound trains. 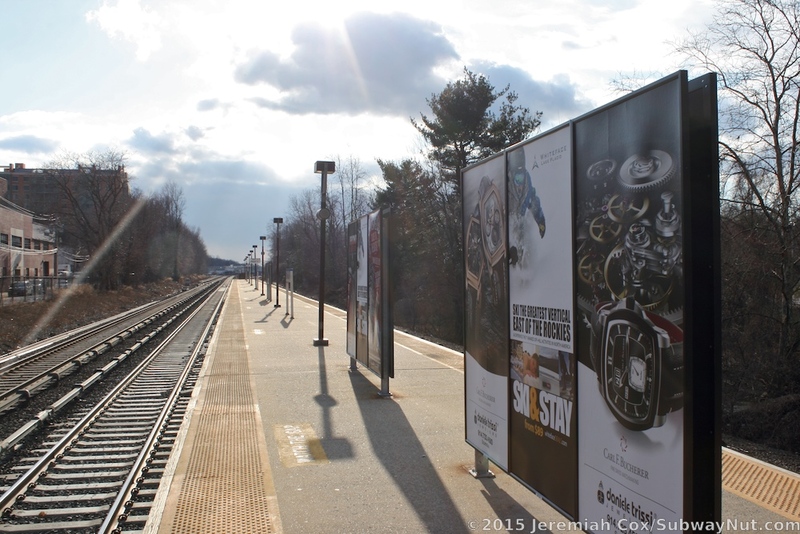 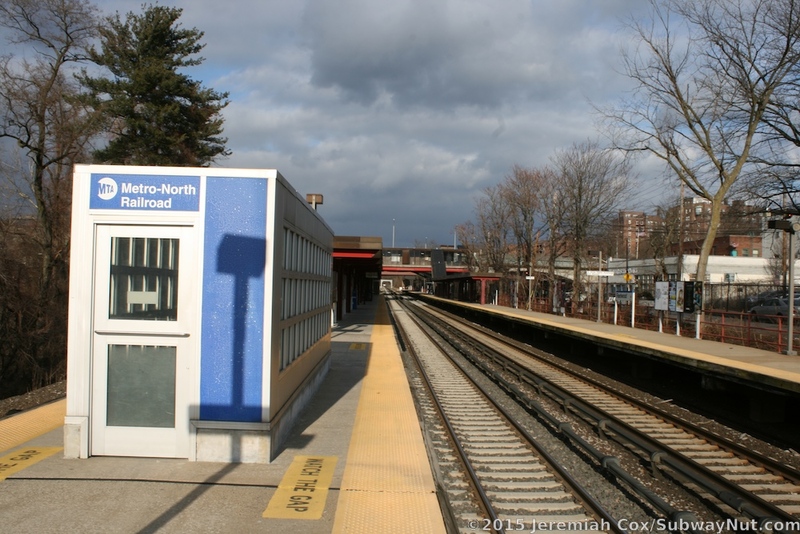 The normal White Plains-bound track 1 has a single side platform. 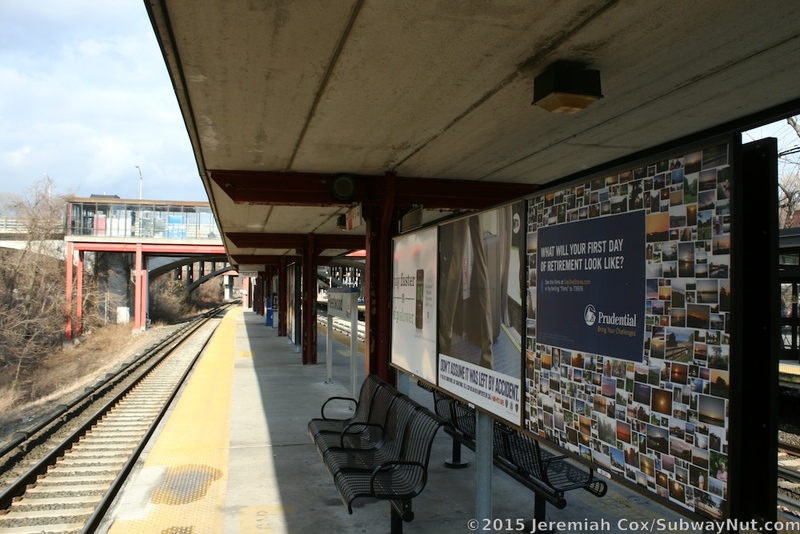 The platforms are significantly offset from each other; the northbound side platform runs much farther north, going under the 3 bridges that hold up the Cross-County Parkway, plus an on-ramp. 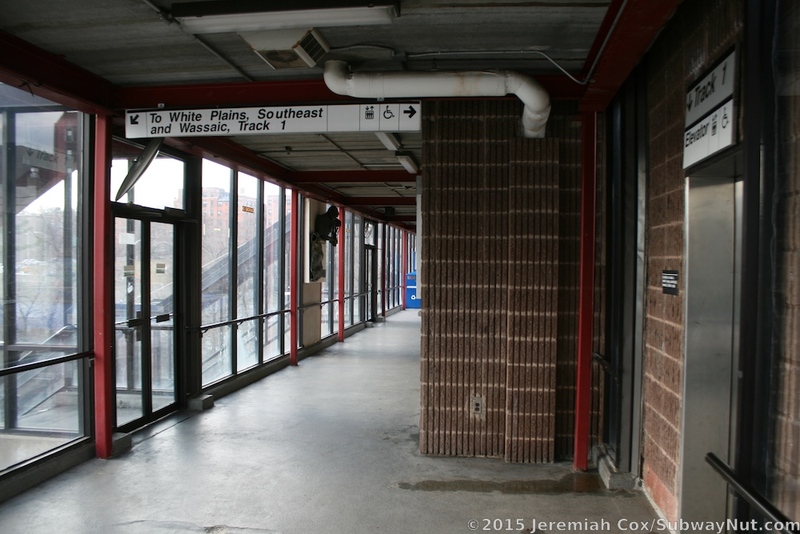 This platform is along MacQuesten Parkway, followed by a privately operated parking lot as the platform heads north with a number of staircases and ramps down to it. 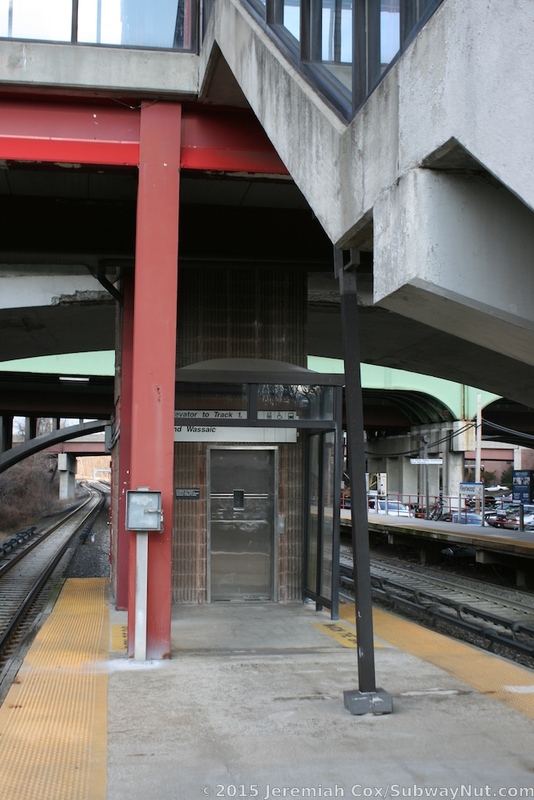 The island platform has a single entrance via an elevator in a shaft covered in brown concrete at the extreme northern end of this platform followed by a staircase. 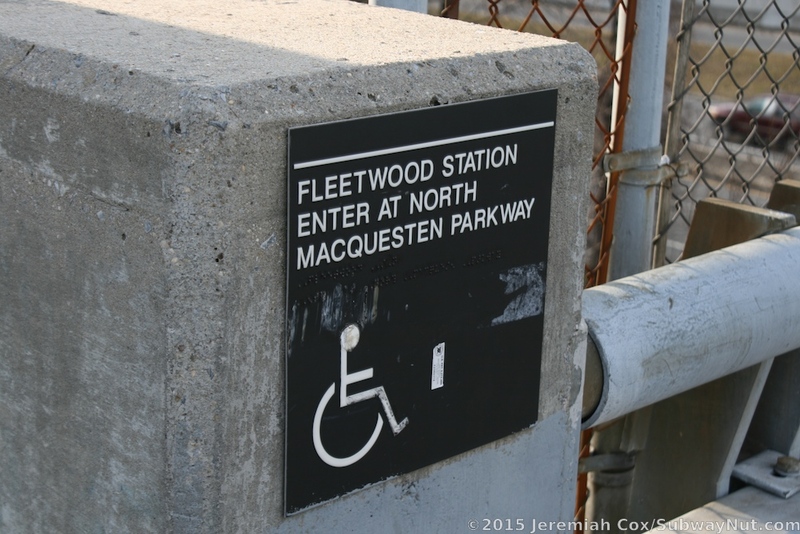 These lead up to a small pedestrian bridge. 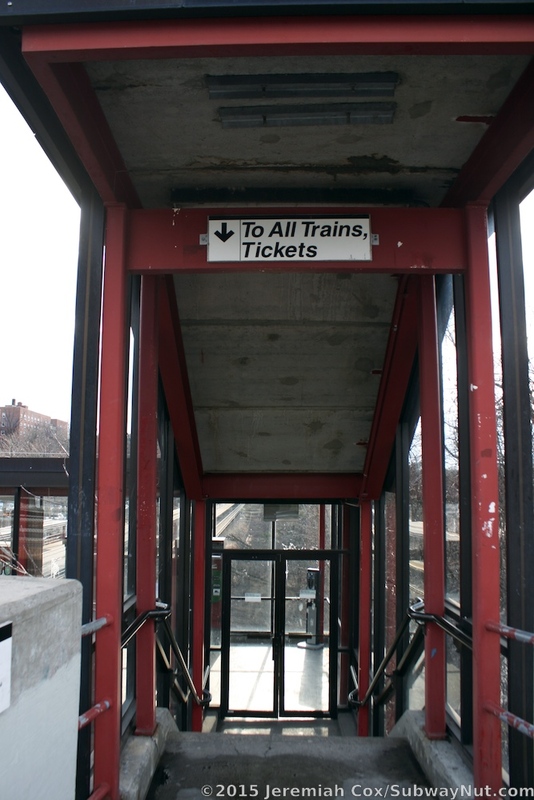 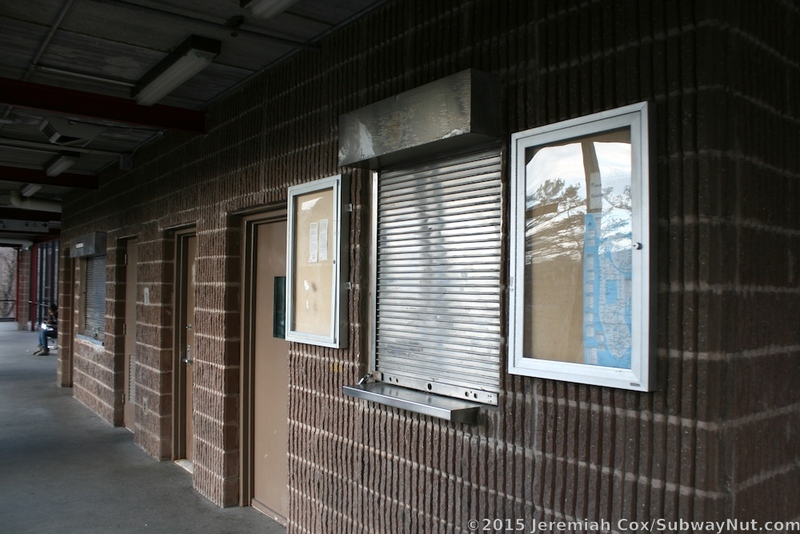 Inside this fully enclosed overpass, with glass walls and doors, is the former ticket office (clad in the same brown concrete as the elevator shaft) closed on January 13, 2010. 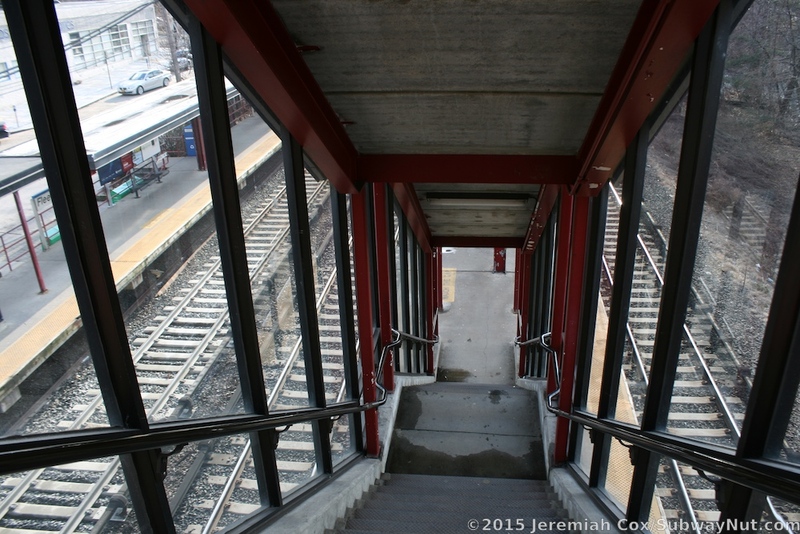 A second concrete elevator shaft and staircase lead down to the side platform. 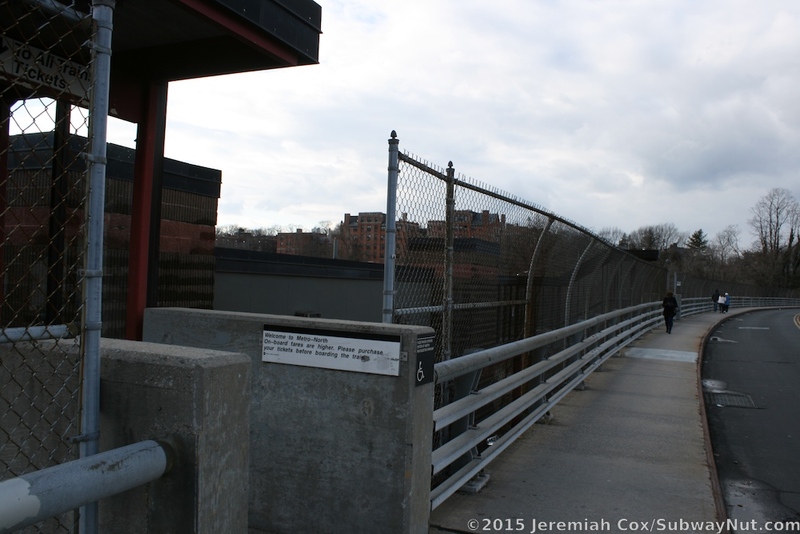 At each end of the small overpass are about ten steps up to the road overpass of Broad Street (that also crosses over MacQuesten Parkway and the Bronx River Parkway). 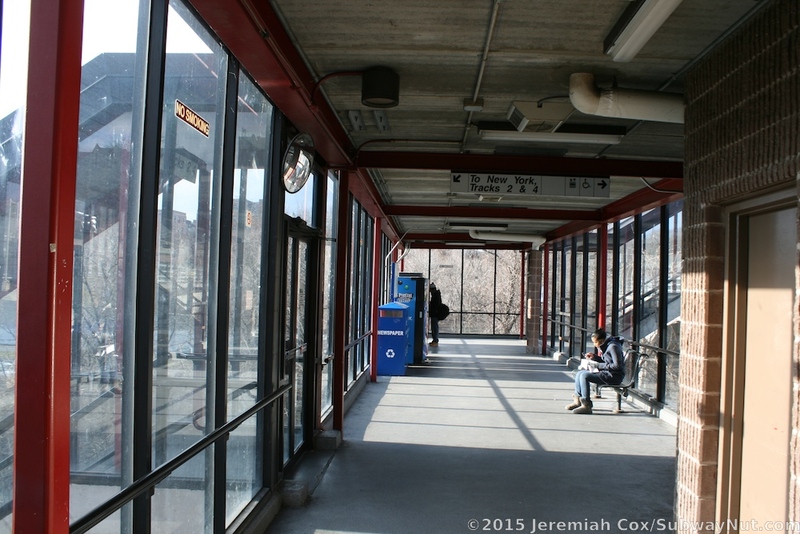 The island platform is covered by a narrow canopy structure held up by brownish red support beams. 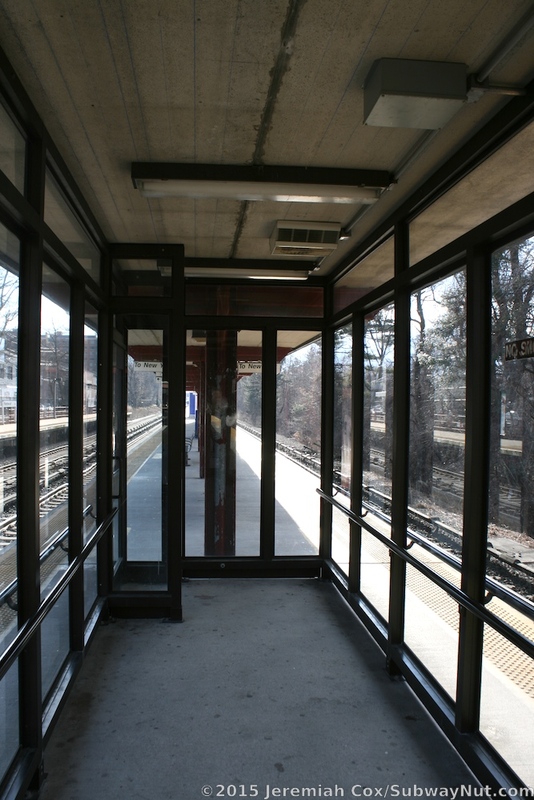 Along a portion of it is an enclosed waiting area with a second exposed silver waiting area beyond the end of the canopy. 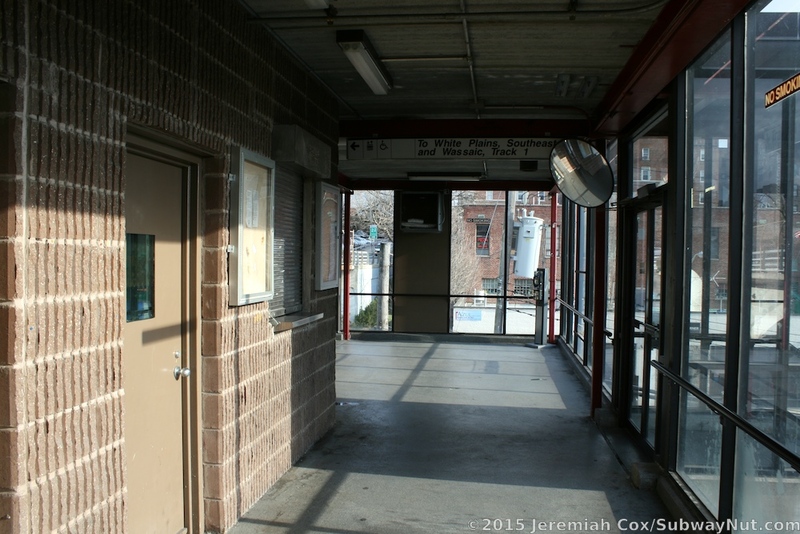 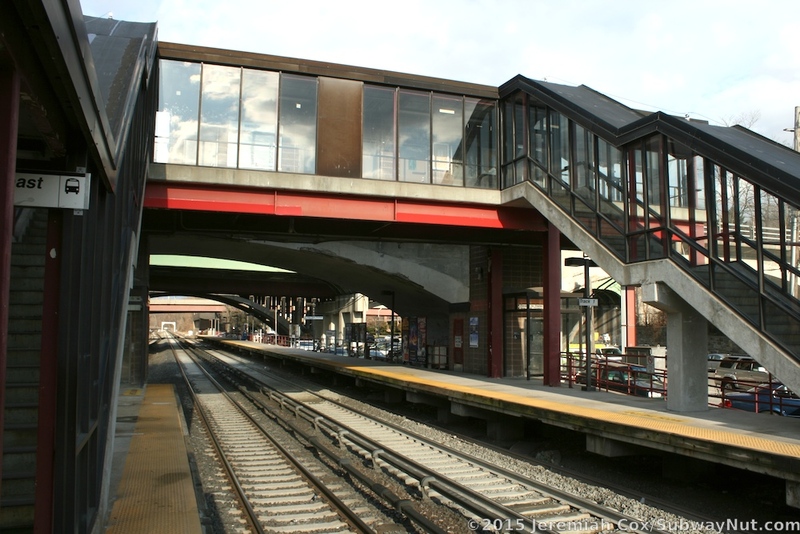 The White Plains-bound platform has a similar but much shorter canopy structure just beyond the elevator and staircase up to the pedestrian bridge.